CORTI DA SOGNI "ANTONIO RICCI"
- MITICI CRITICI: categoria riservata ai cortometraggi che per sensibilità e tematica sono indicati per gli spettatori più giovani (premio). A decretare il vincitore sarà una giuria composta dagli studenti delle scuole medie. 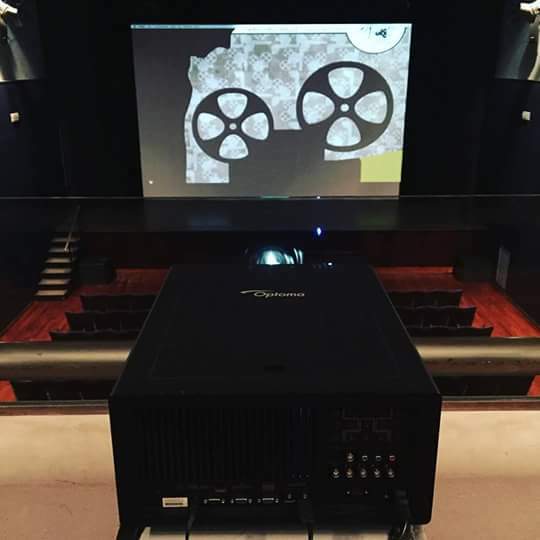 - PREMIO SCUOLE DI CINEMA: riservato alle scuole di cinema italiane e internazionali (premio e riconoscimento di 300 euro). La giuria è composta da studenti delle scuole secondarie di secondo grado. 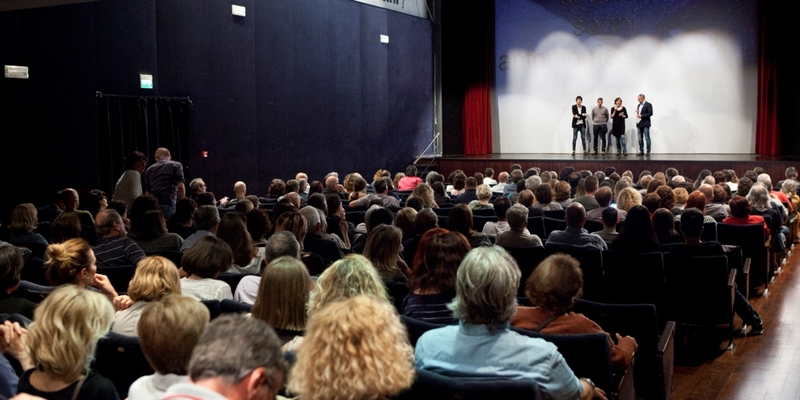 Circolo del Cinema "Sogni - Antonio Ricci", in compartecipazione con il Comune di Ravenna, Assessorato alla Cultura. EUROPEAN SOGNI AWARD: "Watu Wote" (Germany), directed by Katja Benrath. WORLDWIDE FICTION: "Are you volleyball?!" (Iran), directed by Mohammad Bakhshi. GIUSEPPE MAESTRI AWARD (best animated shortfilm): "Negative Space" (France), directed by Max Porter, Ru Kuwahat. MITICI CRITICI AWARD (young jury): "Touch of sound" (Sweden), directed by Hooman Sadeghloo. FREQUENZE IN CORTO AWARD (best videoclip): "Read between the lines - Alaska Pollock" (Nederland), directed by Auke De Vries. MADE IN ITALY (best italian shortfilm): "Cani di Razza", directed by Riccardo Antonaroli, Matteo Nicoletta. CREATIVITA' IN CORTO (audience award): "Buffet" (Italy), directed by Alessandro D'Ambrosi, Santa de Santis. EUROPEAN SOGNI AWARD: "The peculiar abilities of Mr. Mahler" (Germany), directed by Paul Philipp. WORLDWIDE FICTION: "Blues with me" (South Korea), directed by Han Jong Lee. GIUSEPPE MAESTRI AWARD (best animated shortfilm): "Chika, die hündin im ghetto” (Germany), directerd by Sandra Schieβl. MITICI CRITICI AWARD (young jury): "Jamais sans mon dentier" (France), directed by Hugo Favre. FREQUENZE IN CORTO AWARD (best videoclip): "Metube2 – August sings Carmina Burana” (Austria), directed by Daniel Moshel. MADE IN ITALY (best italian shortfilm): "Penalty", directed by Aldo Iuliano. CREATIVITA' IN CORTO (audience award): "Fantasia" (Finland), directed by Teemu Nikki. EUROPEAN SOGNI AWARD: "90 Grad Nord" (Germany), directed by Detsky Graffam. Special mention European (by jury): "Everything will be okay" (Germany), directed by Patrick Vollrath. WORLDWIDE FICTION: "Madam Black" (New Zealand), directed by Ivan Barge. GIUSEPPE MAESTRI AWARD (best animated shortfilm): "Scarecrow’s heart" (Iran), directerd by Gholamreza Kazzazi. MITICI CRITICI AWARD (young jury): "Celui qui domptait les nuages" (France), directed by Julie Rembauville e Nicolas Blanco-Levrin. FREQUENZE IN CORTO AWARD (best videoclip): "One lone survivor" – Tim Aminov (Russia), directed by Lado Kvataniya. MADE IN ITALY (best italian shortfilm): "Nevica (Nieva)", directed by Lu Pulici. CREATIVITA' IN CORTO (audience award): "Alamak" (Iran), directed by Hossein Darabi.